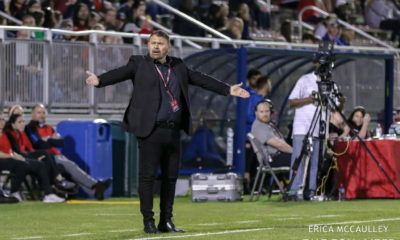 A bevy of NWSL preseason action on Saturday produced a wide variety of results across the country, with three teams prevailing victorious, Sky Blue FC falling to perennial college power North Carolina and the Washington Spirit tying the University of Virginia. 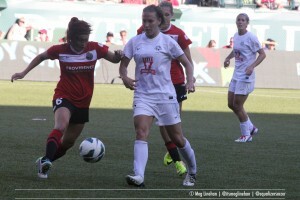 That all came a day after Portland Thorns FC’s 10-0 demolition of the University of Arizona. 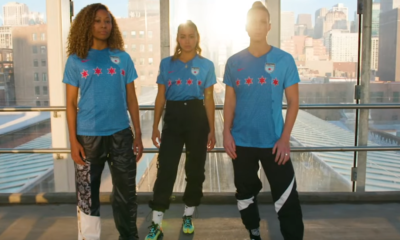 The biggest result of the day came from New Jersey, where Sky Blue FC fell 2-1 to UNC. The Tar Heels struck first in the 19th minute when midfielder Joanna Boyles chipped Jill Loyden. Sky Blue defender Kendall Johnson struck the equalizer in the 39th minute after collecting a through-ball from Ashley Nick, who made a late-season impact with the team in 2013 after joining from Pali Blues (now LA Blues). But UNC stole the show on the rain-soaked day as Emily Bruder collected a loose ball in the 73rd minute and tucked in the game-winning goal. 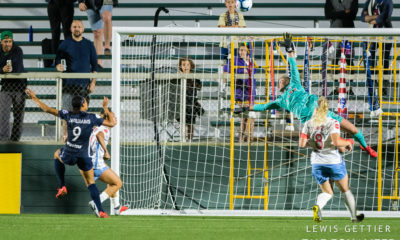 Lauren Holiday scored twice to lead the Blues to a 3-1 victory over Kansas on Saturday in Lawrence, Kan. FC Kansas City head coach Vlatko Andonovski chose to play a full-strength lineup with the regular season just two weeks away, implementing his favored 4-2-3-1 formation with Becky Sauerbrunn and Nikki Phillips (nee Krzysik) as center backs now that Lauren Sesselmann is no longer with the team. Amy Rodriguez opened the scoring in the 12th minute on a feed from Holiday and three minutes later Holiday found net on a shot of her own. Kansas got back into the game before halftime through a goal from Ashley Williams in the 31st minute, but Holiday iced the game from the penalty spot in the 51st minute. NWSL expansion side Houston Dash rolled to a comfortable 7-0 victory to improve to 3-1-0 in preseason. Tiffany McCarty scored twice and No. 2 overall draft pick Kealia Ohai added a goal and an assist in the effort. The Dash play Texas A&M on Wednesday. Captain and assistant coach Cat Whitehill scored the lone goal in the Boston Breakers’ 1-0 victory over Boston College, where Kia McNeill is an assistant coach. McNeill was a member of the Breakers until this month, when she left the club to focus full attention on her coaching duties and studies at BC. 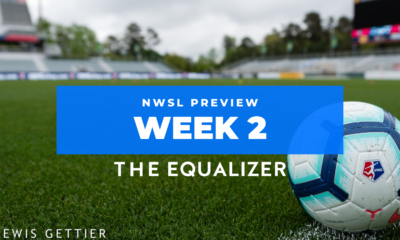 Both teams had their chances Saturday and the Breakers needed an 88th minute penalty kick, finished by Whitehill, to top BC and improve to 2-0 in preseason. Last year’s last-place team in the NWSL picked up a draw against 2013 national semifinalist Virginia. Alexis Shaffer scored 10 minutes into the match for the Cavaliers, but Toni Pressley equalized for Washington in the 37th minute.